Isn't this sweet?! 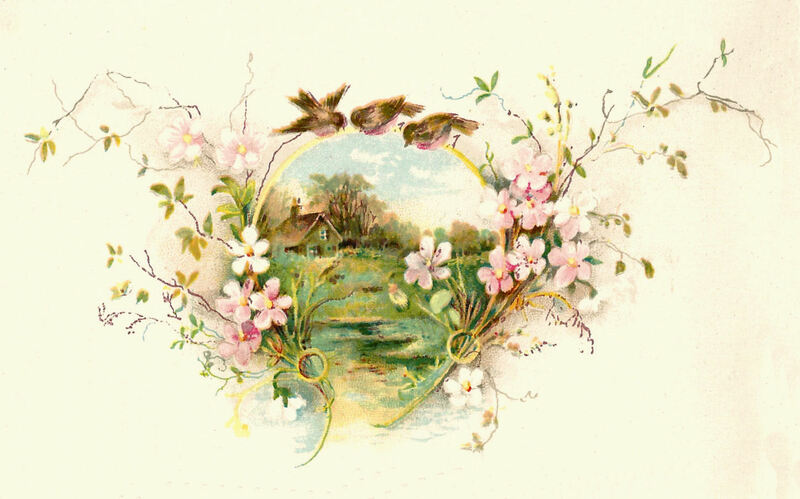 This adorable bird and pink flower graphic is from a vintage wedding book. I love how the three, little birds and the pink flowers frame the idyllic, country scene. Enjoy!